Cross dock area is temporarily area where we are not storing any product instead just managing place according to delivery for further customer. This will save lot of time for inter warehouse transfer and storing process. We are managing our products with docking area where product directly place from supplier location and transfer this to gate pass for customer delivery. For more information on how to organise your warehouse, read What is cross docking and is it for me? 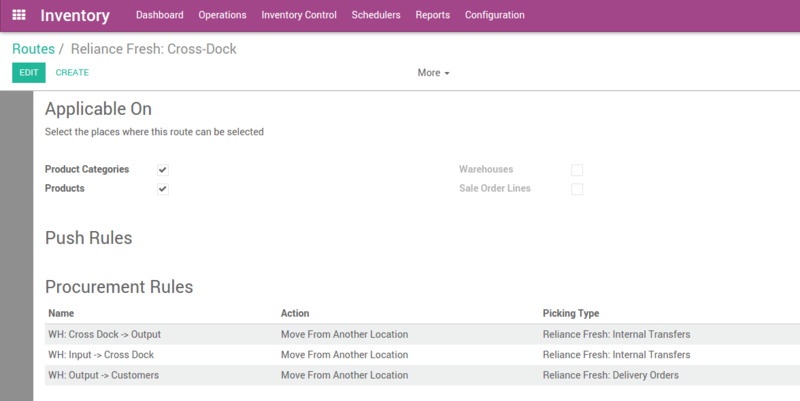 In the Inventory module, open Configuration ‣ Settings ‣ Location & Warehouse, then in Routes, select Advanced routing of products using rules, then click on Apply. Open Configuration ‣ Warehouse Management ‣ Warehouses, then open the warehouse you want to cross-dock from and click on Edit. This steps has generated a cross-docking route that you can see in Inventory ‣ Configurations ‣ Routes ‣ Routes. 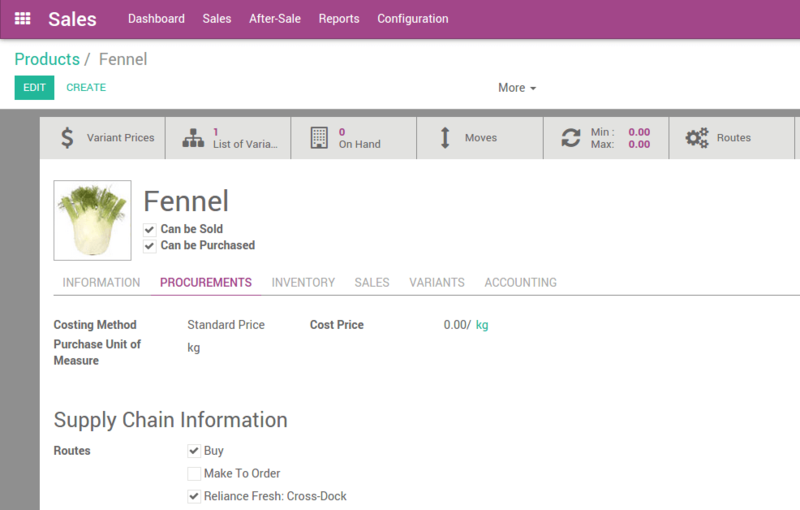 Each of the procurement rule will now be configured. 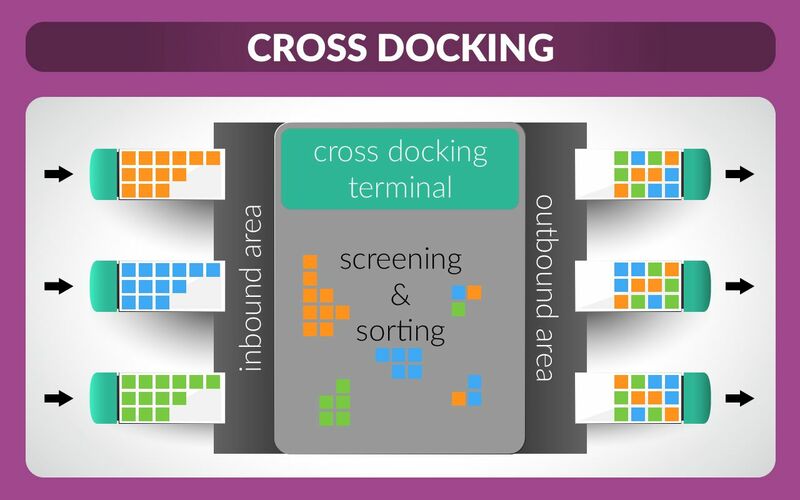 Cross Dock location is created as an internal physical location. We have created the Vegetable Fennel product and assigned the routes created above as well as the Buy route. We have also specified a supplier and a minimum order rule which is needed for replenishment of a stockable product.